One of 2 Leota Jr High/Leota Middle School Representatives. Q: Is EAP in the Home school for all schools being considered? Q: How many years can the new changes hold new growth? Q: Did the district do a survey of PACE parents and ask them if they would move to a new site? Q: Has the district thought about what all the moves and not having a bond to the community and school is doing to our kids? Are we causing psychological harm to them? Q: Will current EAP teachers have an EAP position in the district if Bear Creek EAP is moved? Q: Can current EAP students get priority for waivers to stay with their community and friends if it splits or moves to another school? Q: Did district look at changing boundaries of all schools to fix the previous adjustment that clearly wasn’t a long term fix? A: Looked at expanding boundaries of BEar Creek to have at least 2 classrooms per grade and that wasn’t possible without eating into other schools with low enrollment. Did not look at redistricting whole district, mainly looked at Bear Creek to minimize disruption. Q: Can district publish the data used to make these suggested changes? Q: What are the special academic programs referred to? Q: How many kids are you projecting adding to NFP by 2026? Q: Did you consider closing the Bear Creek Building? A: Considered moving Gen Ed out of building but not closing building completely. Urban Growth boundary will move at some point and it’s expected over 10k more kids will be added to district at that time. Need the space. Q: If EAP leaves Bear Creek where will the kids go? A: kids will be split between Sunrise and Canyon creek based on their home school. We had no representatives on the ballot for Kenmore Middle School, North Creek High School, or Sunrise Elementary School. The HiCap Council will discuss what to do about these remaining open positions at our upcoming meeting on September 27. Thanks to all outgoing council members, as well as those who ran for positions on the HiCap Parents Council! Your service and passion for our community is very appreciated. Vote for the HiCap Parent Council representatives who will represent you. EVERY family in Northshore has a potential representative on the council. 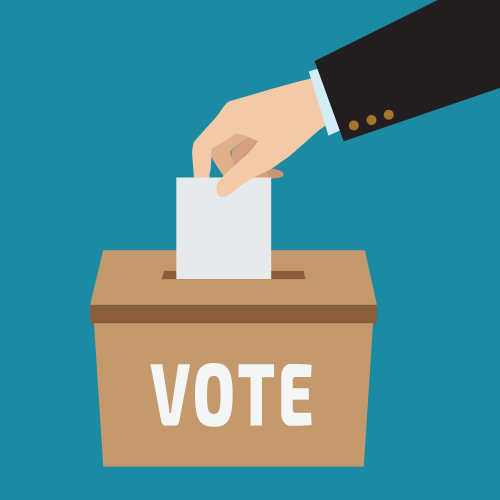 EAP students, AAP students, High School HiCap Students, Neighborhood School HiCap students, private school students, homeschool students, and students who have not yet been identified as HiCap – all have a representative and may vote in this election. Note that EACH FAMILY should vote ONLY ONCE PER REPRESENTATIVE, regardless of how many parents/guardians are involved. Ideally we would do the voting process using paper ballots and kid mail, but this is not practical with so many families going to different schools all over the district. Please uphold the sanctity of the election and only vote once per family. All positions are for 2-year terms. If a candidate is only eligible for their position for one year, their position will come up for election again next spring. In Spring of 2017 the HiCap Parent Council conducted its second satisfaction survey of HiCap families. This survey asked questions about how challenged students felt in their core academic classes. Results for the 2017 survey are below. If you would like to compare these results with the results from our previous survey, click here to see the 2015 survey results. As you may know, NSD has undertaken the momentus task this spring of testing all students in grades K-8 for hicap services using the Naglieri Nonverbal Abilities Test. Students who are already designated as HiCap CAN NOT lose their designation regardless of their score on this test and will not take further rounds of testing. Students who are currently qualified in only one subject and any other student who receives an 85% or higher will move on to the next round of testing. Currently qualified HiCap students were included in this testing for informational and data collection purposes only. We have recently learned from the district that all students who received 85% or higher will receive an email before February 5th asking for permission to admister the next round of testing, or in the case of some students (Kindergarten for example) who scored in the 99th percentile, you will be asked for permission to designate your student as hicap in the 2018/2019 school year without further testing. Please look for these emails in your junk folder or other spam filters if you have not received it by Monday February 5th. If the hicap office does not receive a response in the next week, they will begin making phone calls to the parent of every student from which they have not yet received consent. The hicap office does not want any student to miss this opportunity. If your student did not qualify for testing, you will receive your letter in the next few weeks. These letters will not contain individual scores, but if parents would like to know thier child’s score they may email hicap@nsd.org after February 26th or contact their child’s teacher after that time.